Prints and patterns are revived season after season. For SS19, Versace did clashing prints, Balenciaga played around with logos, and Off-White focused on neon snakeskin. For this post, I have styled a couple of printed pieces! 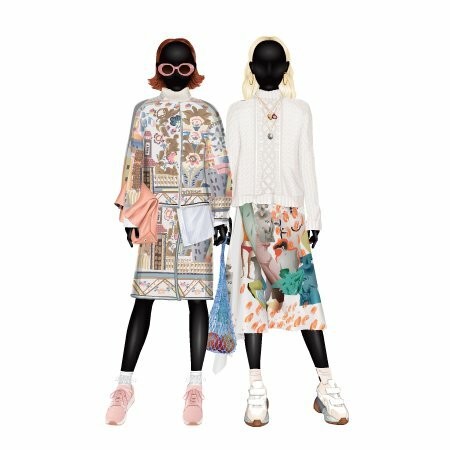 With my first outfit, I went for a head-to-toe printed look with the matching jacket and skirt. Sticking to a relaxed style, I added an untucked pinstripe shirt for a subtle print clash. To complete the outfit, I went for pink accessories to complement the print. For my next outfit, I went for a similar relaxed style with this graphic print skirt, which I styled with a slouchy turtleneck sweater and sneakers. For jewelry, I added some gold hoops and layered necklaces. 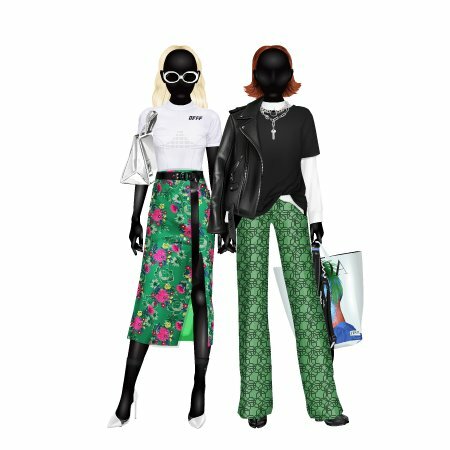 For my next outfit, I styled the bright floral skirt with more casual pieces such as the sporty t-shirt and canvas belt for a contrasting look. I completed the outfit with the silver handbag, and white heels paired with sheer socks. I then styled these green printed pants with an oversized t-shirt and a white long sleeve, a leather jacket, and Tabi boots. To complete the outfit, I layered some silver chains and added the Acne inspired bag. For my final outfits, how could I leave out animal print? Just like florals, animal print is a reoccurring trend every season. 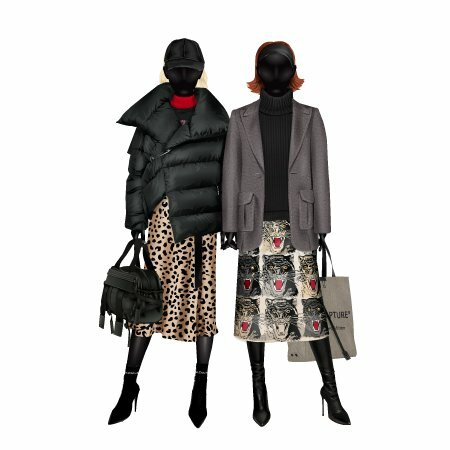 I styled the leopard print skirt with an oversized puffer jacket, and a t-shirt layered over a red turtleneck for a pop of color. You could swap the skirt for a pair of leopard print pants. Finally, I chose this Gucci skirt, which is a change from the classic animal prints. I styled it with the oversized turtleneck and blazer, and leather boots. I then added this canvas tote bag matching the color palette perfectly.